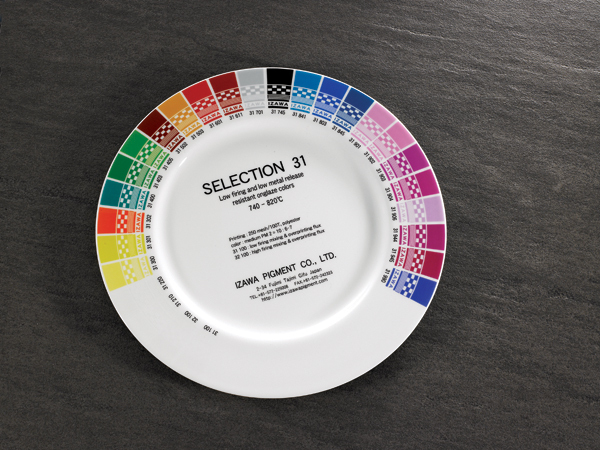 SELECTION 31 colors are low metal release onglaze colors for porcelain, bone china, vitreous china and earthenware. 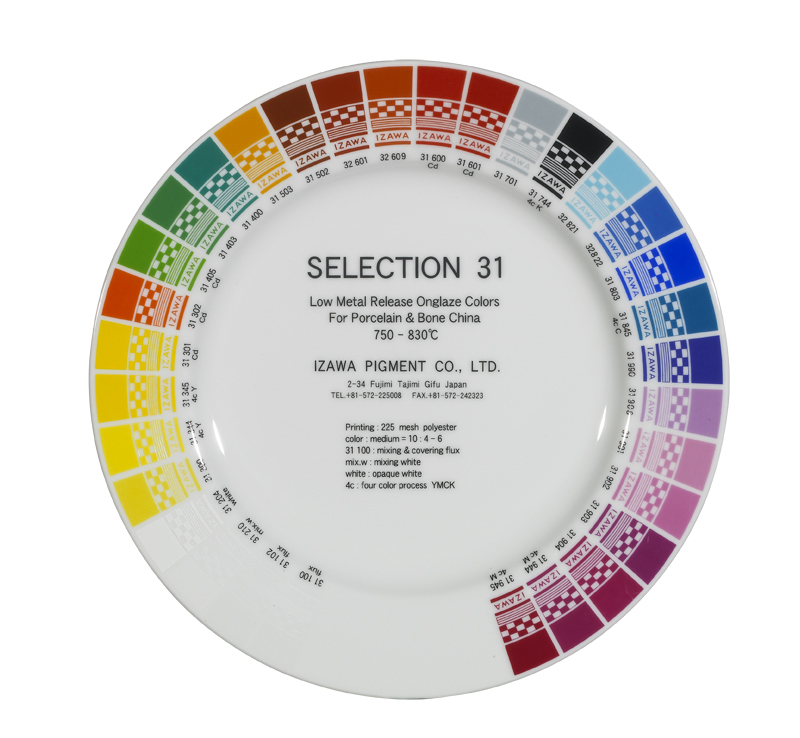 SELECTION 31 colors were carefully developed in lead and cadmium release, alkalic and dishwasher durability. 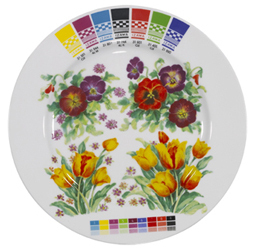 SELECTION 31 colors are suitable for normal firing and fast firing. 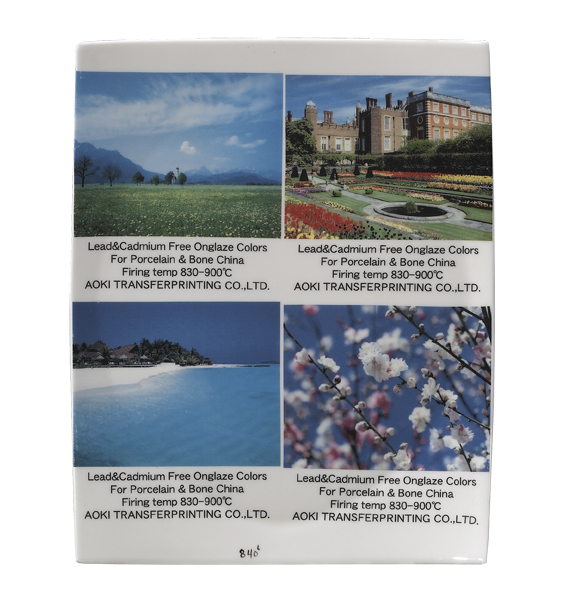 SELECTION 31 colors are suitable for screen transfer printing; direct printing, spraying, pad printing and hand painting. Selection 31 colors can be mixed with each other in any proportions except 31602 iron red, 31301 cadmium yellow, 31302 cadmium orange, 31600 and 31601 cadmium red. Cadmium containing colors can be mixed with each other. 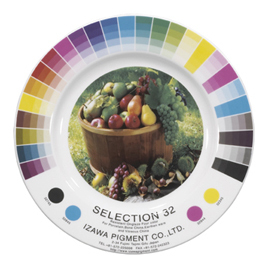 To obtain pastel color tone, 31210 mixing white is suitable. 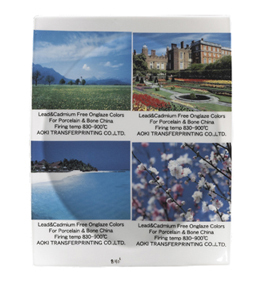 31100 flux is suitable for mixing and overprinting. 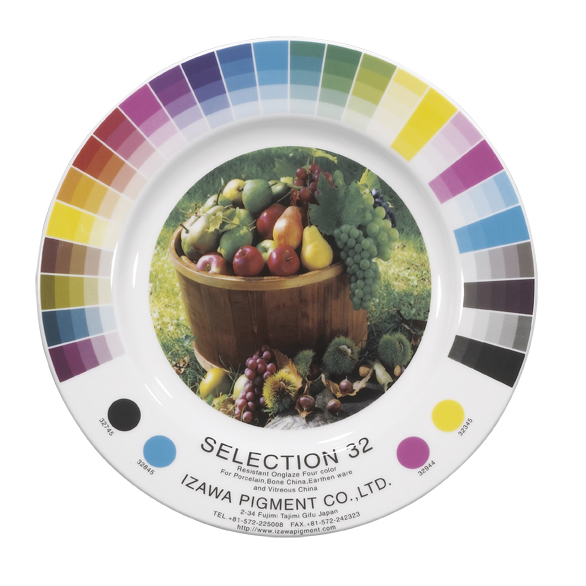 Overprinting 31100 flux can improve chemical resistance and glossy of 31 series colors, but strong blue 31803 and iron red 31602 may show color deviation. 32101 flux is recommended for those two colors. 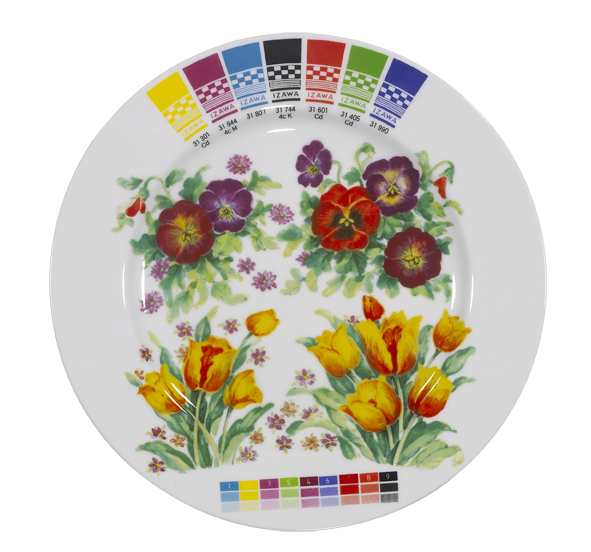 Yellower tone can be achieved by using above "Cadmium" four color combination. Cadmium red/yellow can be overprinted directly over the "cadmium" four colors design. SELECTION 31 colors are measured less than 0.3mg lead/dm and 0.03mg cadmium/dm release after immersion in a 4% acetic acid solution for 24 hours at room temperature. SELECTION 31 colors show no visible attack after immersion in a 4% acetic acid solution for 24 hours at room temperature. SELECTION 31 colors show no visible attack ofter immersion in a 0.5% calgonite solution for 24 hours at 90℃. SELECTION 31 colors show no visible attack ofter they were washed over 600 times. Firing in higher temperature and overprinting Flux can improve chemical resistance.